ItemA-04242 - A.C. Murray, Hudson's Bay Company Store, Fort St. James; With Freighter W. Bent. ItemA-01899 - "Site of Bulkley House, Tatla Lake." ItemH-05810 - Homesteaders in winter at Bella Coola. ItemH-01490 - Canyon in the Nechako River. ItemF-05870 - Board of directors of the first Board of Trade at Revelstoke. 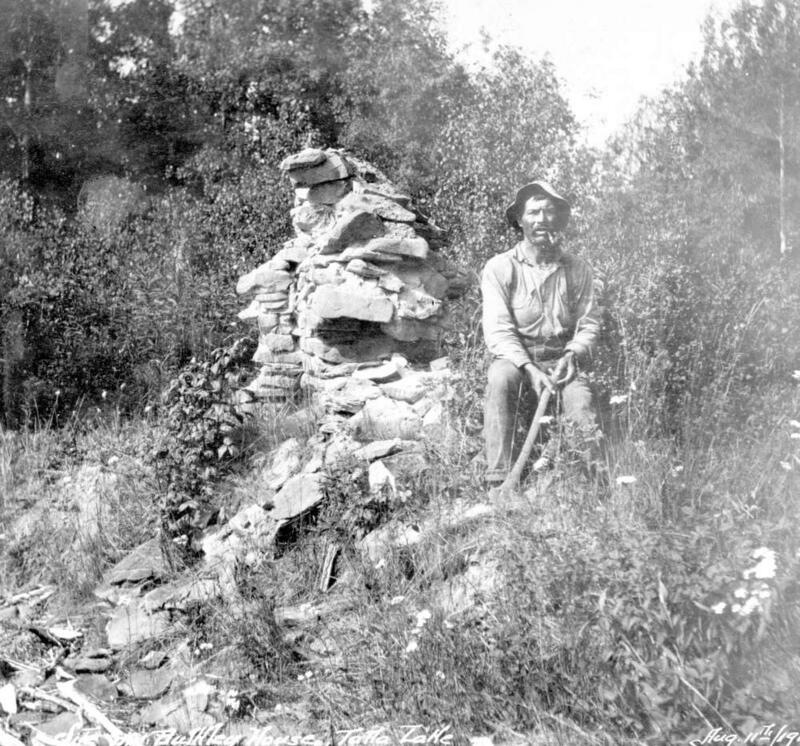 Item A-01899 - "Site of Bulkley House, Tatla Lake."